Looking for a way to get your billing done and money into your business quicker? If you bill many customers every month–and basically all are the same except for the customer information–for example, you own a garbage pick-up business, and everyone is billed the same amount every month–there’s a quick way to do this. Batch Invoicing. 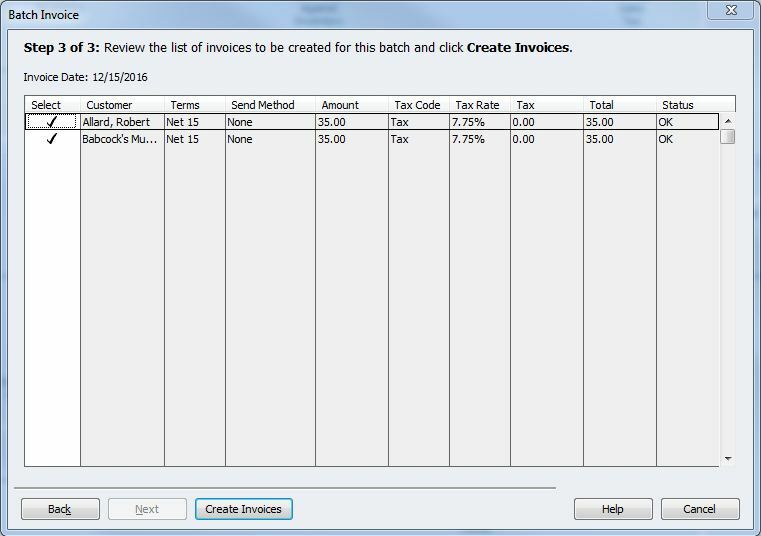 From the menu bar, select Customers, Create Batch Invoices. You’ll then select those customers you’d like to bill by clicking the “Add” button. Then click “Create Invoices” and you’re done. Simple and fast! If you’d like to learn more about how to make QuickBooks work for your business, give Moore Bookkeeping a call. We can set up a remote-access tutorial for you or perhaps come to your office and instruct you in person for a very reasonable cost.